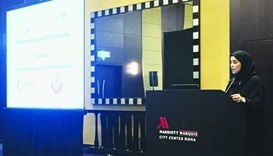 A specialised workshop on combating fraud and counterfeiting in banking kicked off in Doha on Monday to highlight the recent trends in the techniques of countering fraudulent and unethical operations inside institutions. 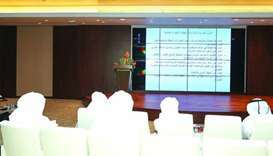 The Qatar International Centre for Conciliation and Arbitration (Qicca) has conducted a workshop for a group of legal researchers from the Legal and Judicial Studies Centre at the Ministry of Justice. 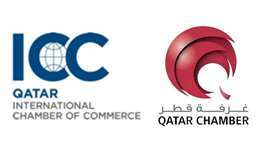 The International Chamber of Commerce (ICC) Qatar is organising its fourth banking workshop titled ‘Trade Finance Training 209’ slated on March 27 at the Grand Hyatt Hotel in Doha. 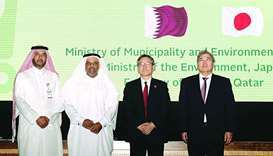 The Ministry of Commerce and Industry (MCI) organised a workshop on Wednesday that brought together national authorities tasked with following up on the Greater Arab Free Trade Area (GAFTA). 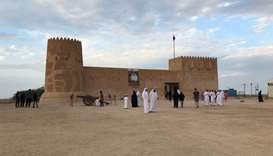 Qatar Museums (QM) chairperson HE Sheikha Al Mayassa bint Hamad bin Khalifa al-Thani has attended an education workshop, engaging the independent school teachers in a discussion about their various programmes. 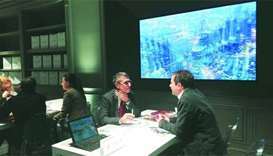 The event brought together nearly 100 of Italy’s leading tour operators and travel agents to introduce Qatar’s unique offerings as an attractive leisure tourism destination. 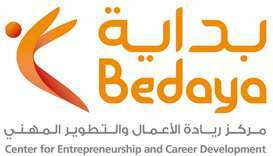 The Bedaya Centre for Entrepreneurship and Career Development (Bedaya Centre), a joint initiative by Qatar Development Bank and Silatech, has hosted a workshop titled, ‘Think Upside Down’.